Four years ago Dr. Michele Drake had an important decision to make, ‘is paperless the best direction to take my practice’? 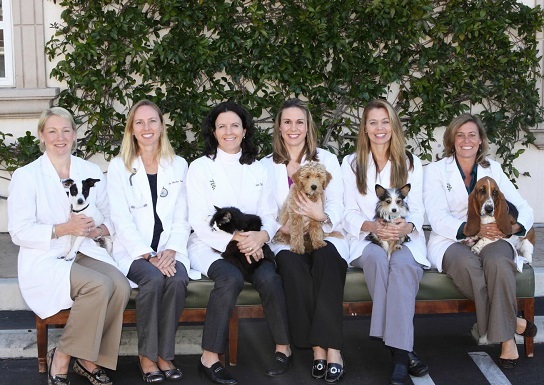 Dr. Drake’s practice, The Drake Center, is a full service veterinary center which has provided individualized care for family pets throughout North County San Diego since 1989. The busy, six-doctor facility had been using practice management software for years but wanted to improve doctor to client communications and workflow. With these core desires in mind they set out to find their future software program. After looking at several systems, the Drake team decided to switch from Cornerstone to VIA to achieve these goals. VIA integrates with their digital radiography system, reference lab Antech, and their in-house Abaxis and Idexx equipment. “We order the tests from the patient record or invoice, capturing charges while keeping the integrity of the medical record,” said Dr. Drake. Not only capturing charges but insuring the correct patient information is recorded by only entering the information once, VIA’s modality worklist will send the patient’s information to the imaging modality or print out the barcoded Antech order form. The results automatically download to the patient’s file and are easy to find. Changing software and switching to a paperless / paper lite environment was no small change. “VIA’s implementation approach made the switch as painless as possible,” said Spencer. “We went through workflow questions which helped us think of scenarios we might not have thought of right away. After a brief learning period, the staff love VIA and so do our clients.” The clients enjoy seeing their patient’s pictures and easy to read doctors notes. “I am able to either print or email my medical notes to my clients in an easy to read format. My medical exam, treatment plan, and discussion are formatted automatically and easy for the client to follow. It even includes prescriptions and pictures if I wish,” said associate veterinarian Dr. Amanda Moore. In 2010, The Drake Center was awarded as one of the top veterinary practices in the San Diego area. Looking to the future, The Drake Center plans to implement VIA’s electronic whiteboard and treatment sheets. “This functionality was not available when we implemented VIA, but we are excited to take the next step,” said Spencer. “VIA has been great with feature requests. I would recommend VIA to anyone looking to make the switch to a paperless system. It has exceeded our expectations”, states Dr. Drake.